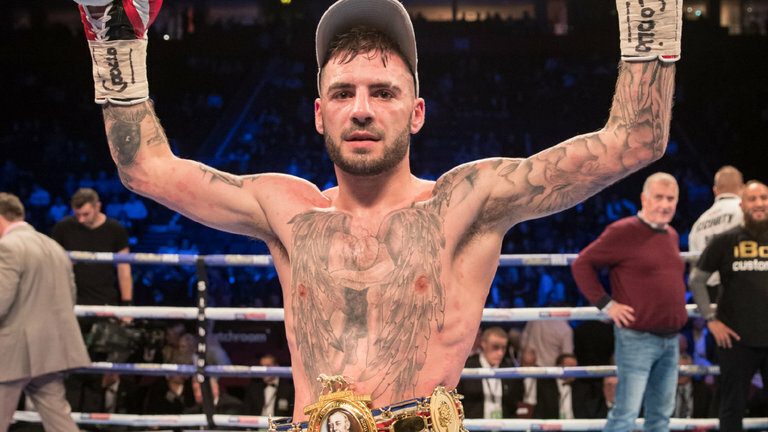 Lewis Ritson wants to make up for lost time when he makes the first defence of his British Lightweight title against Joe Murray in the latest installment of the JDNXTGEN series at Victoria Warehouse in Manchester tomorrow night (Sunday February 25), live on Sky Sports. Ritson landed the crown with an impressive stoppage win over Robbie Barrett in Manchester in October and the talented 24 year old finally gets the chance to step into the ring as British champion in the same city against local fan favourite Murray. Murray challenges for the British strap for the second time having faced Liam Walsh for the Super-Featherweight belt in 2015, and Newcastle man Ritson says he’s eager to get the ball rolling in his quest to claim the belt for keeps. “I’m counting down and really itching to go now,” said Ritson, who scaled 9st 7lbs 9oz, lighter than Murray’s 9st 8lbs 4oz. “I really can’t wait to get in there and do the job. “I’ve not really had any time off since the last fight, it’s been a bit stop and start thinking we might get out before Christmas but shows and opponents fall through, it’s boxing. I’ve remained professional and kept my head down. “Joe might say it’s short notice, but we’re professional athletes. We should be in the gym and ready to go when required – It’s our job. “The fight has been brewing since last year, Joe said I’d knock Robbie Barrett out, but then he would knock me out – I like that part of Joe. He’s passionate and it shows in his interviews. We’ll see tomorrow if he can back up his words but I don’t see it. “My Dad (and trainer) assesses all my opponents. Joe does some things well, but there’s also avenues we can exploit. We’ll try and work that on our favour to get the first notch on the belt. My plan is to definitely win the belt outright. I want to get this out the way then maybe look at June and September. We’ve got to keep winning, I can’t let complacency creep in now I’ve signed a deal with Matchroom. A stacked bill of talent joins Ritson on the card, Jordan Gill meets Jason Cunningham in an eliminator for the British Featherweight title, Qais Ashfaq makes his debut under the Matchroom Boxing banner, Tasha Jonas continues her path to a World title shot and her Joe Gallagher gym mates Hosea Burton, Marcus Morrison and Sam Hyde tasting their first action of the year.